Carbon Monoxide Poisoning | BEATTIE LAW FIRM, P.C. 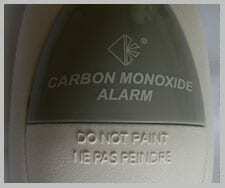 Carbon monoxide poisoning accounts for a large portion of poisoning deaths reported each year. It has been referred to as a “silent killer” because it is colorless and odorless, meaning that a person may be exposed to the gas without even knowing it is present. No carbon monoxide incident is the same. Responsibility may sit with the landlord, property owner, construction crew, appliance manufacturer, repair company, maintenance company, or other entity. We have worked with leading experts in the industry on carbon monoxide poisoning cases, including complex death and exposure cases. Carbon monoxide poisoning and gas explosion litigation is complex and difficult. It should not be left to the untested or amateurs. Don Beattie, and the Beattie Law Firm, has handled a number of these cases resulting in serious injuries, burns, and death. We represent the victims of these tragic incidents. If you have questions about a carbon monoxide case, please feel free to contact us.